Starr Autoworks is now providing ceramic coating services utilizing the Element 119 brand of products. Ceramic coating is perfect for all types of vehicles, including cars, trucks, airplanes, boats, and commercial vehicles. Your automobile deserves nothing but the best. That’s why owners and collectors of the finest vintage and exotic automobiles worldwide choose System X Automotive Ceramic Protection. Quite Simply, they trust System X Ceramic Coatings to consistently provide unmatched paint protection, hardness, and brilliance. Exhibiting an extremely durable, color enhancing gloss which protects exterior surfaces including paint, metal, exhaust, stainless steel, and wheels. System X Pro is a semi-permanent coating that actually becomes the functional surface of your vehicle’s paintwork. By creating an inseparable bond on a molecular level with your paintwork you get a coating that cannot be washed off like a or sealant. PROTECTION FROM HARMFUL ENVIRONMENTAL FACTORS From salt to sand, exhaust, pollutants, insect contaminants, moisture and UV rays, your automobile is vulnerable to numerous types of element-related corrosion. In bonding to the substrate, System X Ceramic Protection provides a ceramic shield that can’t be washed off. LONG-LASTING BEAUTY WITH MINIMAL MAINTENANCE The unique formula of System X Ceramic Protection locks in long-lasting beauty by keeping paint clean and retaining high gloss. The result? Greatly reduced time and expenses related to ongoing care and maintenance. APPLICATION VERSATILITY The System X line is specifically formulated to enable application on virtually all dirt and corrosion-prone surfaces of your car – whether interior or exterior. That means powerful protection for everything from steel and aluminum to leather vinyl, fabric, carpet, and glass. UV PROTECTION The sun is relentless in it’s assault on your automobile’s appearance. System X Auto Ceramic Protection provides maximum UV ray protection for paint, to prevent unsightly damage associated with aging and fading colors. System X acts as a second clear coat that provides increased protection against the elements. This new clear coating is glossier, chemical resistant, and harder than the original clear coat. Providing incredible protection against minor scratches, swirl marks, acid rain, bird droppings, and harmful UV rays. Easy hand application only takes 15 – 20 minutes. System X is not a your typical wax or ceramic paint sealant, which only forms a sacrificial shield of protection. Instead, it bonds into your paintwork or metal creating a semi-permanent glossy shell over the surface. System X paint protection can be applied to the entire exterior of your vehicle, except rubber and soft plastic. System X also performs exceptionally well on alloy wheels and aircraft exhaust ports. System X Ceramic Coating bonds into the paint work’s microscopic pores, forming an extremely durable crystal clear ceramic finish. This provides genuine long-term protection. Testing has shown System X Coatings to be extremely resilient to solvents, weathering, and general wear and tear. What if you need to paint or touch-up your paintwork? No problem. Since System X is only a couple microns thick you can polish or compound the coating off before completing these tasks. System X Renegade is our tried and true aircraft coating offering a up to 2 years of protection in harsh aerospace and marine environments. Renegade is unique in that is can be both hand applied or sprayed with a HVLP gun. When sprayed it instantly flashes eliminating the need to buff off, for huge time savings. Renegade provides a tough, long-lasting, mirror like finish that protects against corrosive elements. Through cross-linking ceramic chemistry Renegade chemically bonds with the paint, becoming the new functional surface. This glossy shell is flexible, so when you hull swells or your wings flex the coating doesn’t crack, shatter, or fragment. Aircraft paint and marine gelcoat is expensive, and while constant exposure to sun and salt water can result in a dull looking appearance that leaves behind permanent damage. Prevent costly repaints by protecting your paint and gel coat on an annual basis. Renegade has passed strict Boeing approval testing and withstands temps over 1000 degrees. Stop spending time cleaning and correcting paint fouled around exhaust ports with our unique aircraft and marine coating. Renegade ceramic clear coating is glossier, chemical resistant, and harder than your gelcoat and paintwork. Providing incredible protection against friction, acid rain, bird droppings, and harmful UV rays. Providing extreme hardness and resilience for the most demading conditions. 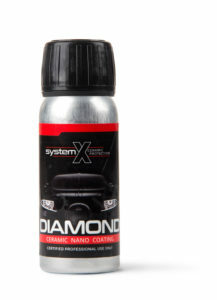 System X Xtreme Ceramic Nano Coating is our most effective coating for protecting against friction, heat, and solvents. Incorporating the industry’s most durable ceramic technology, it offers years of protection against salt water, with no yellowing, cracking, peeling, or delaminating. In addition, System X Xtreme Ceramic Nano Coating withstands heat over 1,100 degrees, offers a high degree of resilience in punishing environments, and provides an extreme gloss finish. The marine environment is unforgiving. The high corrosiveness of salt, UV rays, acids, alkalies, exhaust and algae/shell contaminants can cause structural and cosmetic damage that impair your craft’s performance and ruin its appearance. A proprietary coating technology, System X Ceramic Xtreme Protection is designed to offer the ultimate paint protection for boats and water vessels of all kinds. Upon application you can have the utmost confidence that your vessels will be rendered virtually immune to the adverse weathering effects of both underwater and above-water environments, conditions, and elements. UV Ray Protection System X Ceramic Protection provides maximum UV ray protection for paint, gelcoat, and stainless steel to prevent unsightly damage associated with aging and fading colors. A Shield Against Corrosives From salt and exhaust to oxidation and sea life contaminants, the marine environment is characterized by elements and processes that induce corrosion. System X Ceramic Protection treats surfaces like metal and gelcoat with water-resistant properties that prevent spotting and make cleaning dirt and debris fast and easy. The high gloss and application versatility System X Ceramic Protection is highly effective on a variety of surfaces. Imparting a high gloss and bringing out the full luster and sheen of your boat’s finish. Through its hydrophobic properties you’re assured cleaning can be done easily without out the use of abrasive chemicals and detergents. Save time and preserve your vessel with Xtreme Protection. Highest Degree of Hardness System X Ceramic Protection registers over 9H on the industry’s hardness scale — equating to a coating hardness that provides an exceptional level of paint protection. Xtreme requires a controlled environment and takes 24 hours to dry and undergo it’s initial cure. System X Glass coating protects your windshields, windscreens, windows, mirrors, glass headlamps, and other glass surfaces from micro scratches while multiplying the surface’s hydrophobic properties for two full years. System X Glass coating provides a clear, protective coating over glass to keep glass surfaces cleaner and clearer. The coating is resistant to wiper blades and outlasts ordinary glass sealants by a wide margin. System X Glass improves driver visibility in all weather conditions. System X Glass bonds with the glass to create a slick barrier between the glass and the elements. Rain beads up and rolls off treated glass. Dirt is less able to stick. Insects and ice are easier to remove. Smears caused by wiper blades are all but eliminated and blades glide noiselessly over the smooth coating. No matter what the conditions are outside, System X Glass helps keep your windshield clearer. Unlike regular rain repellent coatings that adhere to the surface of the glass using weak bonding chemistry, System X Glass bonds with the glass giving unrivalled durability and exceptionally low smear characteristics. This self-cleaning coating eliminates the need to pull out harsh solvents or grime cutters to clean your windscreen. System X Glass can be used to treat other glass, ceramic and smooth surfaces where visibility is important, like helmet visors, building glass, cockpit glass, windscreens, side windows, solar panels, and more. System X Interior creates a high-tech super hydrophobic coating based on advanced nanotechnology to protect your interior surfaces like fabric seats, carpet, leather, and vinyl – with a single professional coating product. Spills and stains clean up easily and quickly. When liquids come in contact with System X Interior, the treatment repels the substance and liquids roll off without penetrating or staining the material. Additionally, for materials with an open structure such as plush carpets where liquids are able to penetrate the surface, the coating prevents any penetration of the fibers and permanent staining of the material. While traditional fabric coatings cause the material to become stiff and scratchy or changes the color and appearance, System X Interior Coating allows the material to breathe, retaining its natural feel and retaining it’s original look. System X Interior forms a strong bond with fibers to prevent removal during cleaning. Liquids are unable to attach or penetrate the fibers and are repelled in droplets. Interior was developed specifically for automotive, marine, and aircraft fibers, so it out preforms other products formulated for home uses. System X Interior Coating is easy to apply, dries quickly, and is fully cured in 24 hours. Our no odor interior coating is easily sprayed on by hand and air dried in about 15 minutes. Interior’s ultra safe technology give peace of mind for people with children or pets in their vehicles. System X Interior can be used on upholstery, leather, vinyl, swede, furniture, and textiles. Interior is also a great solution for upholstery or furniture protection programs. System X Polish Nano is the ultimate dust free single step polish for preparing surfaces for coating application. Our ultra refined micro abrasive technology removes light to moderate swirls, scratches, oxidation, and paint defects leaving a swirl free, glass like finish. Polish Nano’s water based formula leaves no micro marring, or residue due to a no silicone, wax and oils formula. Polish Nano is 100% paint shop safe. You will be amazed with this zero dust purpose built polish. System X Polish Nano is formulated without and fillers – the results you see are what you get. Our adaptive nano abrasive is the most effective way to get out light to moderate scratches while leaving a hologram free finish ready for coating. Able to remove up to 2500 grit sanding scratches, light to moderate paint defects, and imperfections from all paint types including conventional clear coat, ceramic clear coat, and traditional single stage paint finishes. Polish Nano is also great for plastic after wet-sanding or compounding faded and hazy headlights and taillights for perfect clarity. 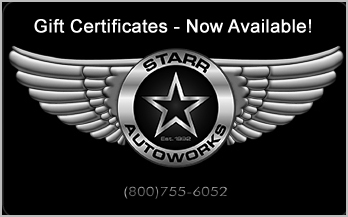 Copyright © 2017-2019 Starr Autoworks, Inc. All Rights Reserved.